Will Wix Make Web Designers Obsolete? Let’s hope not, right? I’m not worried as long as self-hosted WordPress sites are still popular, and I don’t see WordPress going away anytime soon. WordPress, the free content management system (CMS), currently powers roughly 25% of all websites which is far beyond the nearest competitor. Despite its dominant market position, WordPress is only becoming more popular over time. In my experience, developers who once dismissed WordPress as insecure and unprofessional now support it as their primary CMS. Therefore, the website design and development market may not be changing as radically as it sometimes appears; there is still a high demand for professionals who design and code websites. 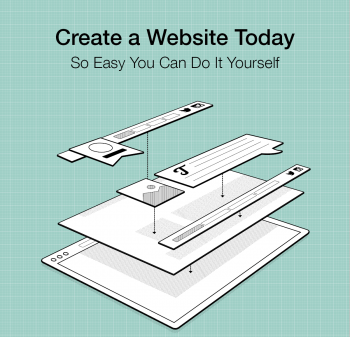 Do-it-yourself website builders such as Wix will help non-technical people who have extra time, but not money, to build their own websites whereas web designers like me get to focus on helping individuals who have money but not time (i.e. businesses). Wix is an example of Software as a Service (SaaS). Other SaaS brands include Weebly, Squarespace, Shopify, and BigCommerce. There are limitations to all of these platforms when you get into the meat of the service. A user may realize that his or her goal just isn’t supported by the toolset currently available from the software provider, but since their site is locked into the service provider’s proprietary software, the user has to wait months or years for the feature to be released (if it does get addressed by the service provider at all), or start from scratch elsewhere. With Shopify, for example, as of this writing, you can’t do something as simple as create a category more than one level deep; you can’t have Products > Clothes > Socks > Wool, for example, in a hierarchy like that. Shocking, but true. Their software just isn’t built that way. These limitations are one area where WordPress soars. There is an enormous community of developers filling functional gaps every day. Many, if not most, problems with WordPress are a Google search away from a solution. The limitations of SaaS platforms will be negligible for some users and deal-breakers for others. While Wix and similar tools will continue to evolve and allow non-technical users to publish a website (for a recurring monthly fee), a market demand will remain for businesses like mine to create flexible, scalable websites at the right price. I haven’t seen anything yet that can compete with the overall value of WordPress considering cost, flexibility, and developer support. All of that said, Wix and services like it are great for many use-cases, and those platforms will undoubtedly grow at the expense of website design businesses that can’t compete at similar price points. While I’m not concerned about Wix obviating my job anytime soon, I know how important it is to stay sharp and keep a relevant skill set. The digital landscape is constantly changing. At one time, I would have loved using a service like Wix. I know the pain of trying to get online with a shoestring budget and I fully support tools and services that empower people to do so.